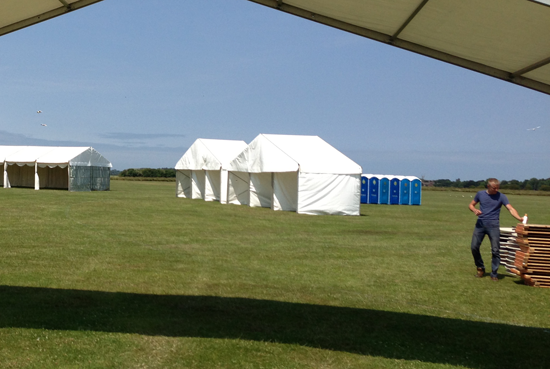 There’s nothing people in the North West like more than a good festival show. 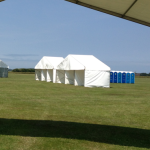 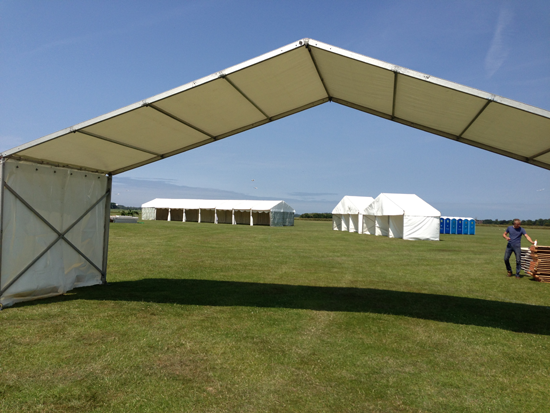 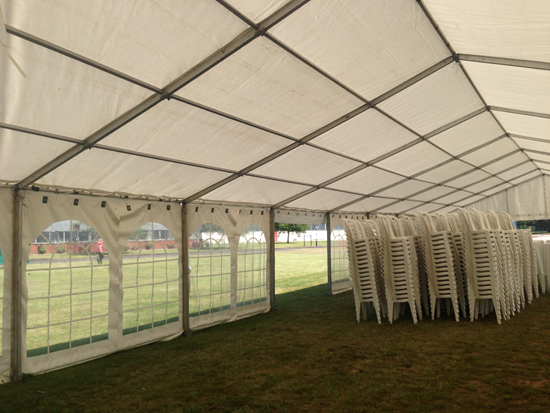 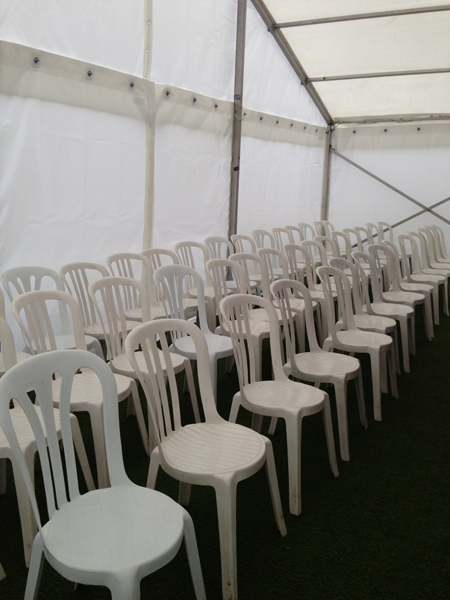 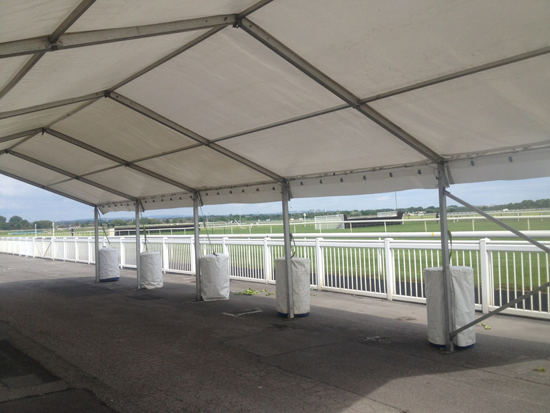 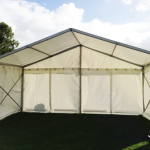 If you are planning on hiring a marquee for an event such as the Africa Oyé, International Festival for Business, The Grand National, Liverpool International Music Festival, Creamfields Music Festival, or the Southport airshow, you’ve come to the right place. 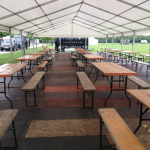 With small music and food festivals popping up all over the place, you may find that there is an event just round the corner that you can be part of, and at which you can present your wares. 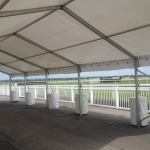 We offer small, basic shell structures for firms that want to offer a limited selection of stock and help to keep customers out of the wind and rain should the weather disappoint. 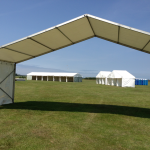 We supply marquees for charity events, county shows, music festivals and a range of other occasions, so if you are looking to hire something that is big enough for people to gather and mingle without taking up a huge amount of space, one of our medium-sized structures will suit you down to the ground. 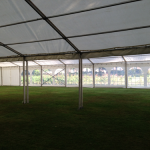 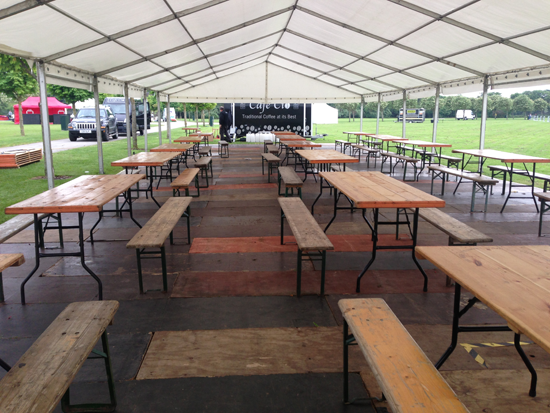 If you are planning on feeding the 5,000 or are planning on hosting a workshop or a live music event in your marquee, it might be best to go for one of our larger structures. 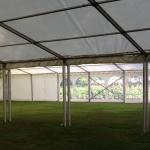 Demand for clear span marquees has taken off in recent years, which means there are no obtrusive internal poles or guy ropes other than wall pillars. 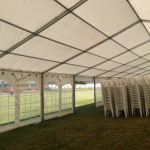 One of the major advantages of this is that more internal space is available for seating, a bar area or dance floors so you don’t end up having to squeeze everything in around poles and supports. 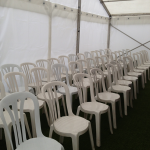 When organising a function, whether large or small, it is important to ensure all attending are comfortable and that a good atmosphere is set. 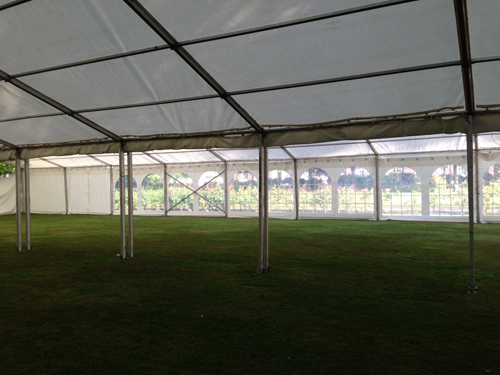 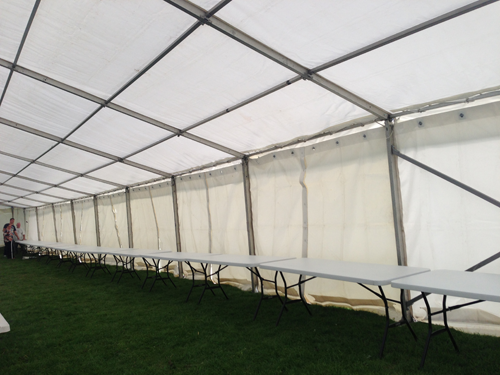 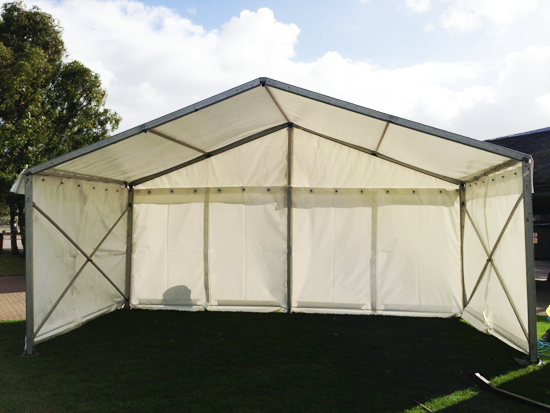 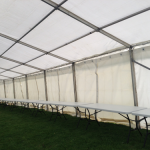 Call Aries Marquee Hire today for a FREE survey on Festival Marquee Hire. 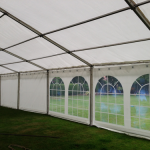 Aries Marquee Hire would like to have the opportunity to be involved in planning your Marquee event for Festival Marquee Hire and to help you create a truly memorable occasion. 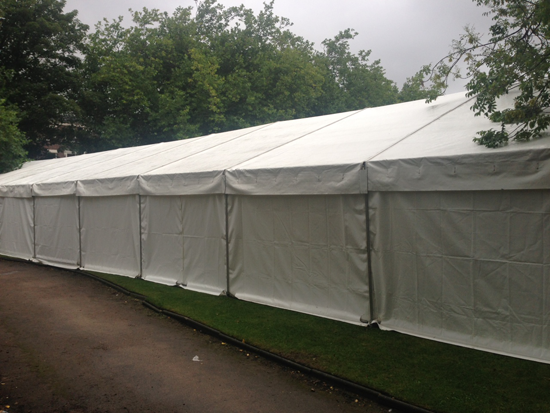 We are always happy to discuss your requirements, please feel free to call us on 0151 545 0599 and speak to one of our friendly staff. 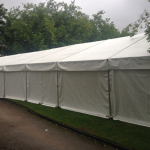 Alternatively, please feel free to email us with your details – we normally respond to all enquiries on the same day. 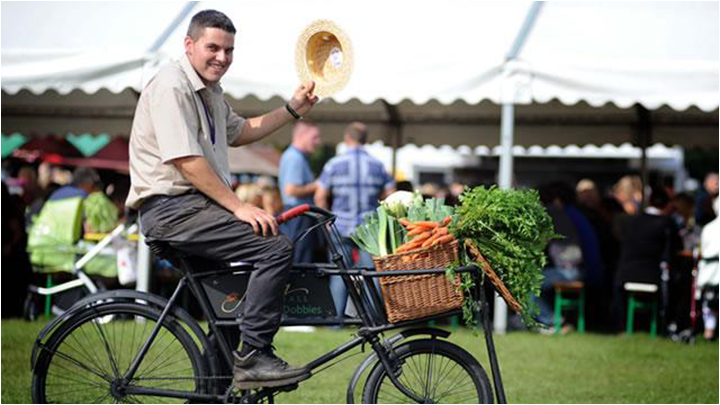 Please enter the above letters and numbers into the box below - This helps us to fight spam! 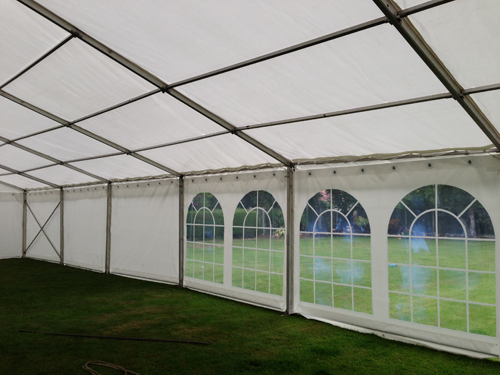 You couldn't ask for a better service than what Gaynor and Lisa provide. 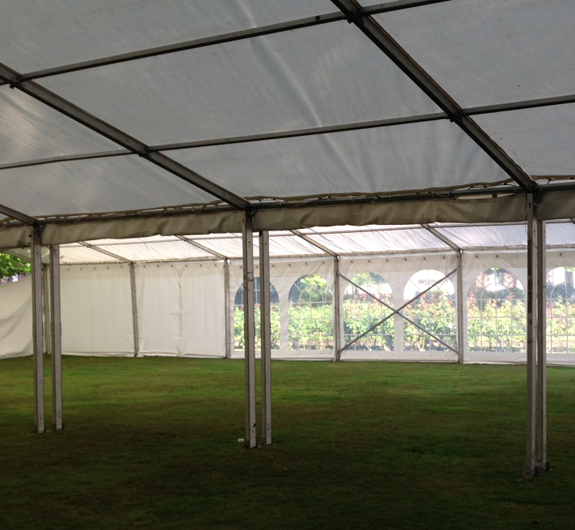 Perfect marquee for our perfect day!